FCC License classes begin on February 17, 2018. Learn how you can assist your community during hurricanes and other disasters as a volunteer Emergency Communicator. This Class can be the gateway to the exciting world of Amateur Radio. Students of all ages are welcome. 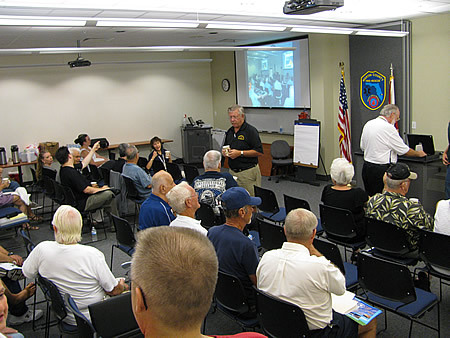 On 17 February the Martin County Amateur Radio Emergency Service (MC-ARES) and Martin County Amateur Radio Association (MCARA) jointly sponsor free Amateur Radio Licensing classes for the entry level Technician Class FCC License. While the classes are free, it is highly recommend to have a License Study Guide, which is available at the class for $30.00, the testing sitting fee, including FCC required costs is $15.00. Introductory Session; explanation of how course will proceed; and schedule of events session is on 17 February from 10am-1pm at 800 SE Monterey Road at the Martin County Public Safety Complex Room 225B, in Stuart Florida.